on fundraising for your project. It also includes the Council’s Eagle Application Reference Letters Policy and a form you can use for the Statement of Life Ambitions. Only the official Eagle Scout Service Project Workbook is to be used. Information on how to download a fillable pdf is available at the above link. This electronic workbook include expandable text boxes and the ability to insert images. It also includes a section “Navigating the Eagle Scout Service Project; Information for Project Beneficiaries”. The key documents and references you will need on your final step on the Trail to Eagle are provided here. This information is updated regularly and you should check this page as you finish one key task and before beginning the next task. 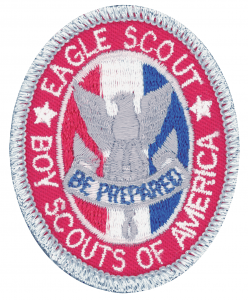 There are a number of resources that you may find useful as you work towards your Eagle rank and afterwards.